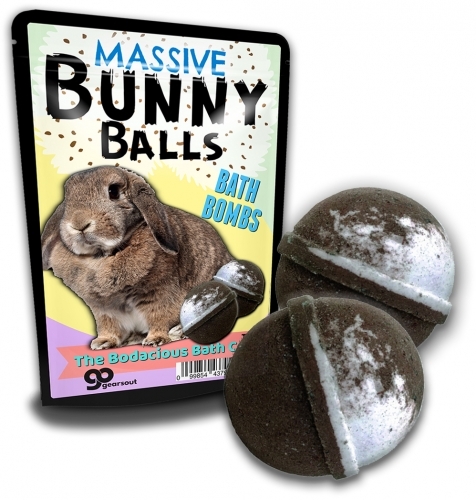 They’re called Massive Bunny Balls for a reason. 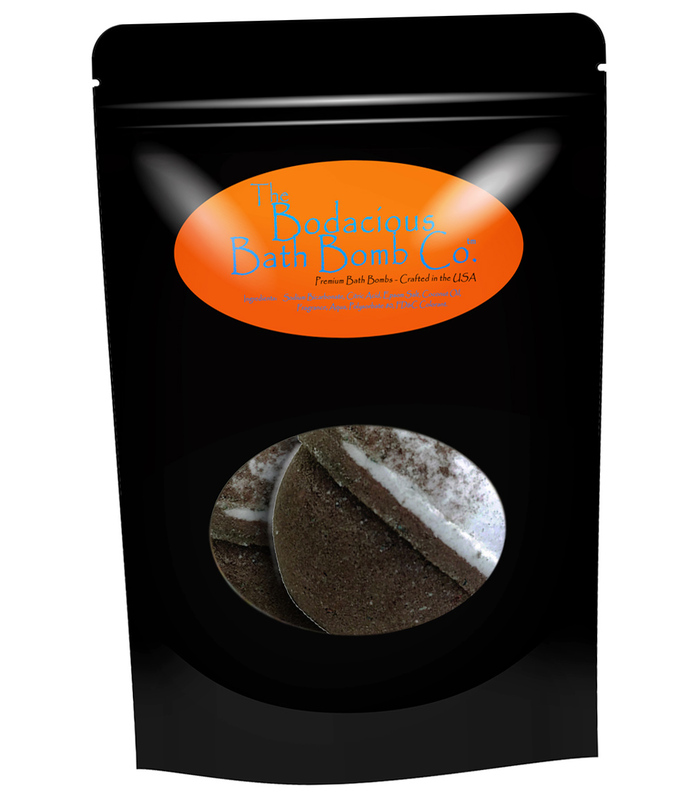 You’ve never seen a pair like these fabulously marbled root beer bath bombs. They’re XL and so super fizzy, you’ll be hopping to tell all your friends all about them. 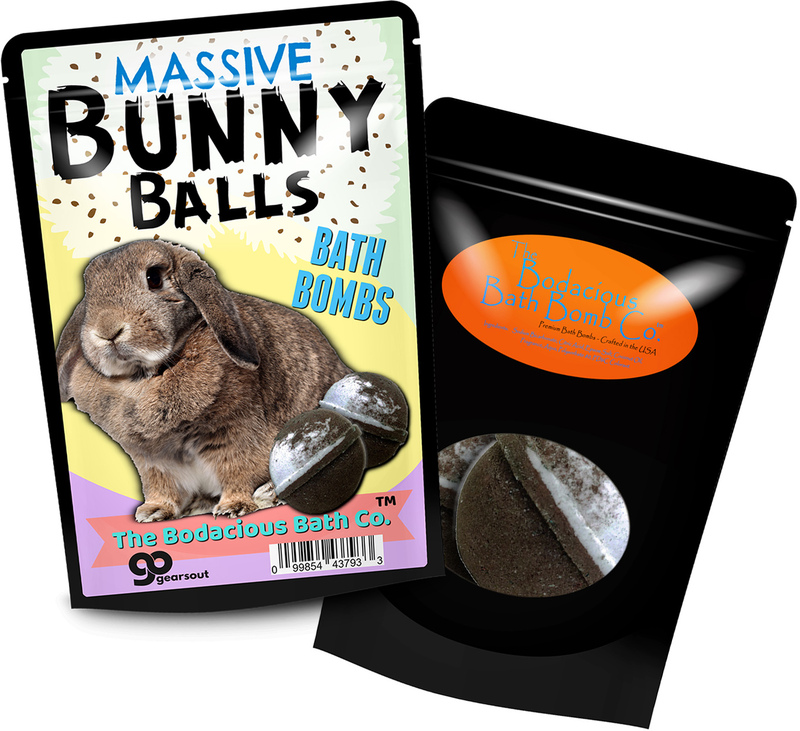 Massive Bunny Balls Bath Bombs are the perfect mixture of silly gag gift for adults and premium pampering present. Whether you’re shopping for a special occasion or just want to surprise someone with a hearty laugh, these soothing handcrafted bath bombs are just what you’ve been hunting for! 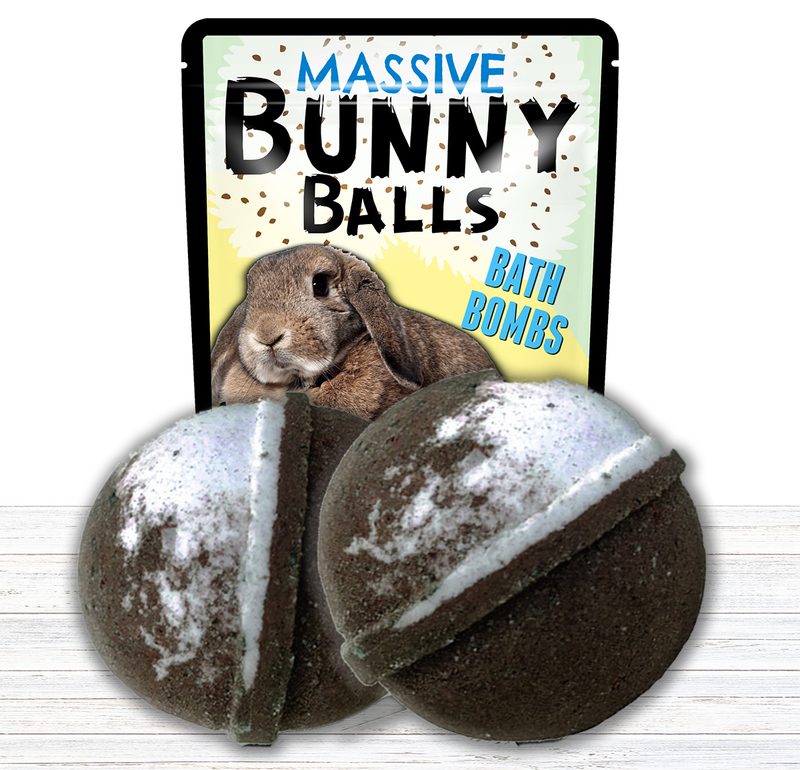 Massive Bunny Balls Bath Bombs are an unexpected, unique, funny gag gift for all the bunny lovers and bath fizzer fans on your shopping list. This lighthearted gift for friends and family is a giggle-worthy addition to spa gift baskets, care packages, and adult Easter baskets. Want to add some chuckles to the holidays? Slip a bag of this weird pampering gift in as a funny stocking stuffer, or wrap it up as a silly, yet useful white elephant gift.